Six months ago, I reviewed James Russell’s excellent book on Eric Ravilious, noting that the last couple of years have seen a resurgence of interest, books, and an exhibition of Ravilious’s work. Here is another book, this time by the prolific Susie Hodge, which aims to give a short overview of the brief life and art of Eric Ravilious. 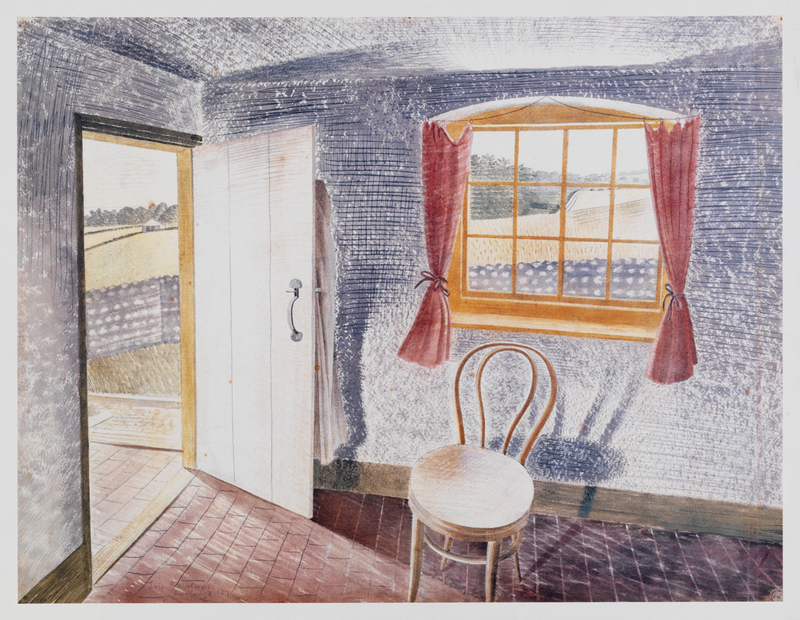 Hodge’s account of Ravilious and his work occupies the first 22 pages of the book, and is supported by a representative series of smaller illustrations of his paintings and prints. Despite mentioning his ceramic and other design work, there are no examples of those shown. Some of the subtitles used are a bit glib: Ceramic Celebrations and Rave Reviews seem slightly out of kilter, for instance. 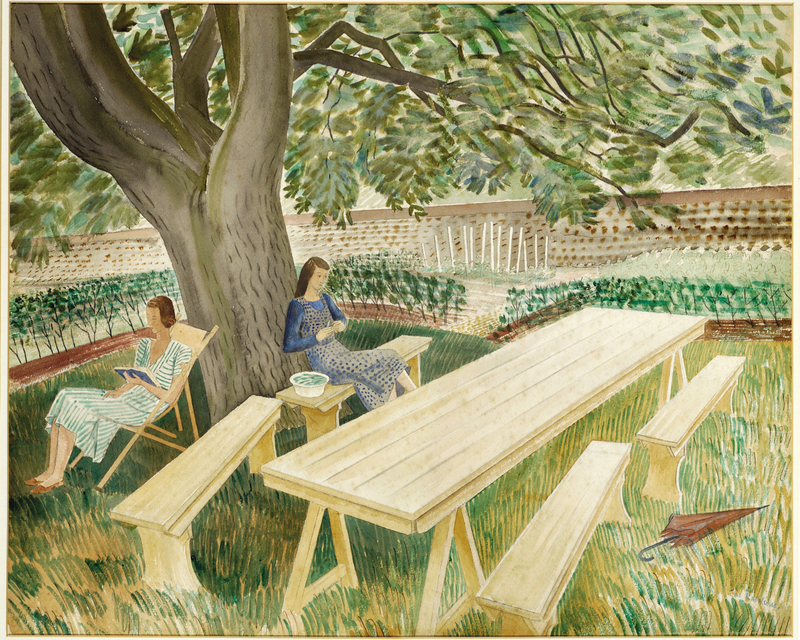 Eric Ravilious, Two Women in a Garden (1933), watercolour and pencil on paper, The Fry Art Gallery, Saffron Walden, England. Wikimedia Commons. 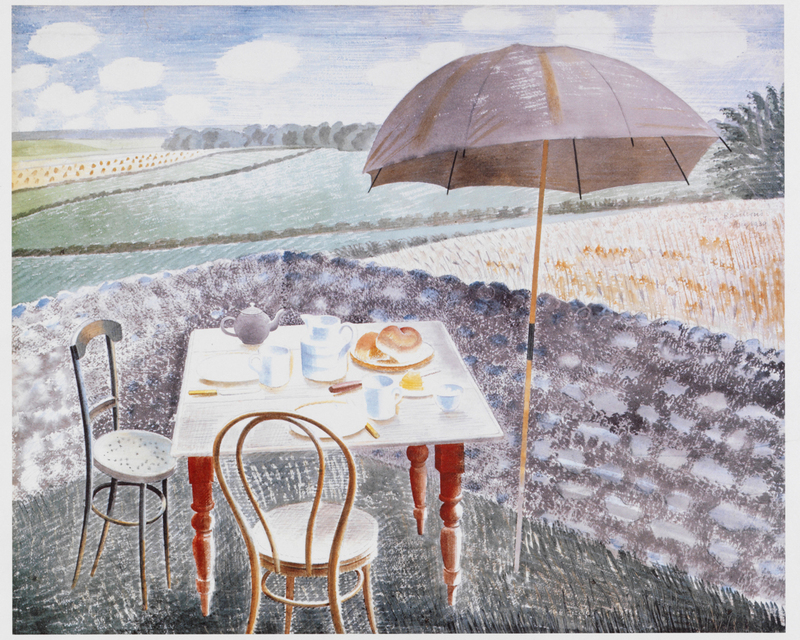 Although that chapter bears the title Eric Ravilious: Strange Perspectives, Hodge only mentions and does not discuss in detail the most consistent characteristics of his paintings, in their frequent use of striking viewpoints and perspective projections, and the transfer of techniques for textures from prints to paintings. It also does not comment on the remarkable emptiness of many of his works. 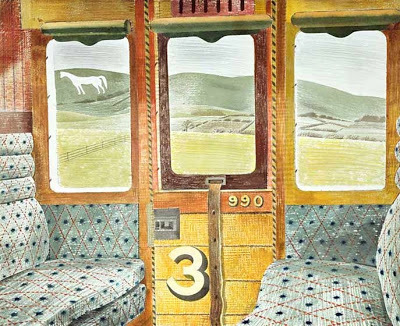 The remainder of the book consists of themed collections of illustrations of Ravilious’s work. Unlike James Russell’s book, these themes are very broad, in order to encompass all his 2D output. The first therefore includes watercolours from 1930 onwards, with the exception of his work as a War Artist, and the addition of three tempera panels of tennis, from about 1932. Those already familiar with his work will recognise all the best-known peacetime paintings among these. The second collection is of his superb wood engravings, which may be less familiar to many readers. Although their separation may seem logical and tidy, it hinders comparison of related works, such as his watercolour Train Going over a Bridge at Night (c 1935), and its print sibling Train and an Aeroplane (1935). However, Hodge does at least keep works within each section in chronological order. The third collection is of ten of the 26 colour lithographs for his wonderful book High Street, published in 1938. This book concludes with a selection of Ravilious’s watercolours and colour lithographs undertaken as a War Artist from 1939 to his death in 1942. One work which is quite widely known but omitted from this section is his RNAS Sick Bay, Dundee (1941), which has a similar emptiness to some of his earlier paintings of interiors. Each illustration in the main sections is given a full page, although the book is only medium format. Within that size constraint, their quality is good, and each is accompanied by full details including dimensions and location, together with a short text comment about the work. End-matter includes two indexes, one of works, the other general, but disappointingly there are no suggestions for further reading. In an introduction such as this, that is a serious omission. This is an excellent and fairly comprehensive introduction to the life and art of Eric Ravilious which does him proud: I am sure that he would have been quite embarrassed to see his work appear in a series of Masterpieces of Art, but the reader can here see how well that is justified. Unusual in its balanced coverage of almost all his work, including murals, prints, and illustrations, in addition to his wonderful watercolours, it is another strong candidate for Christmas presents. Posted in General, Painting and tagged painting, prints, Ravilious. Bookmark the permalink. Q&A: Does an air gap protect from malware?